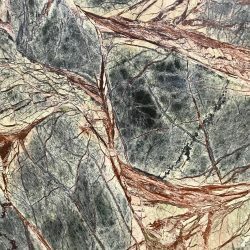 Rainforest Green is a green and brown marble from Brazil. 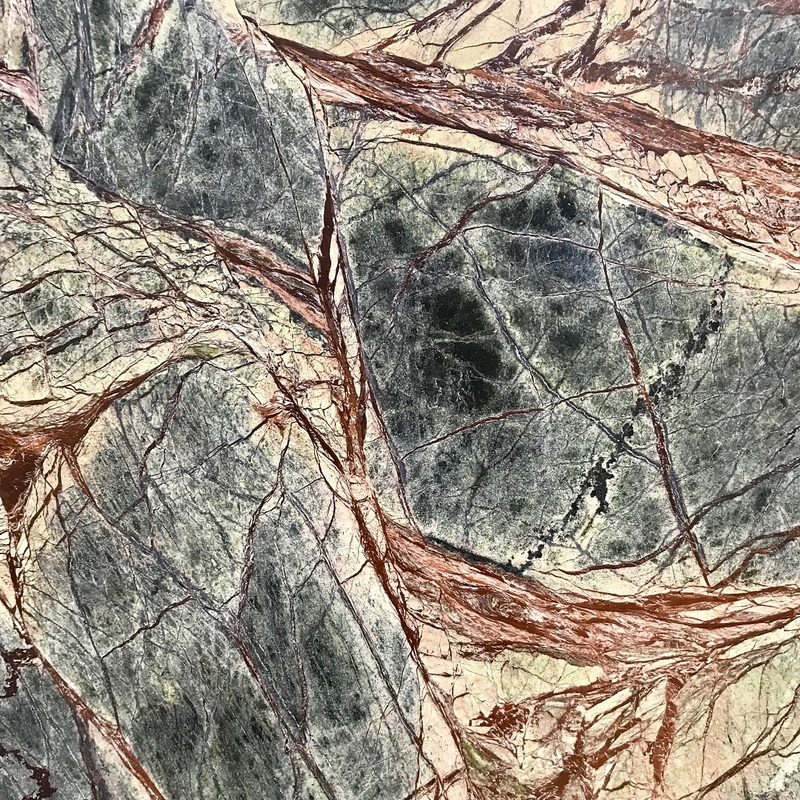 In the nature of its name, tree-look, copper-brown veins are the prominent feature, protruding beyond its blue-black background. Rainforest Brown is popular in residential and commercial buildings. Like this? 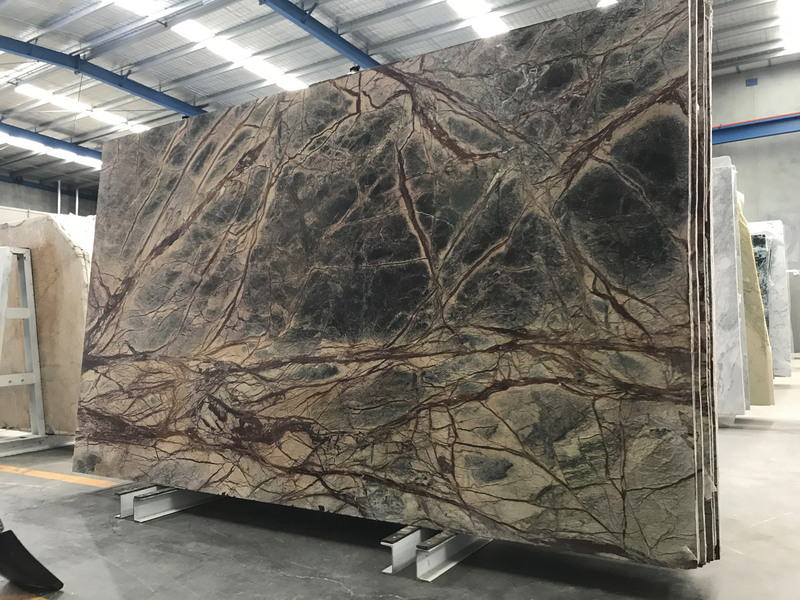 Check out, Rainforest Brown and Rainforest Multi.